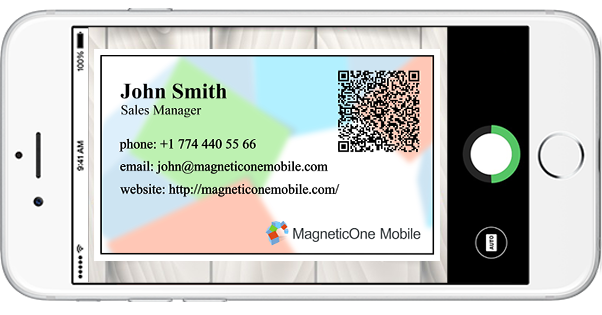 Simply take a photograph of a business card using your smartphone and Business Card Reader by MagneticOne Mobile will transfer the pertinent contact information into HubSpot, creating a brand new contact record. 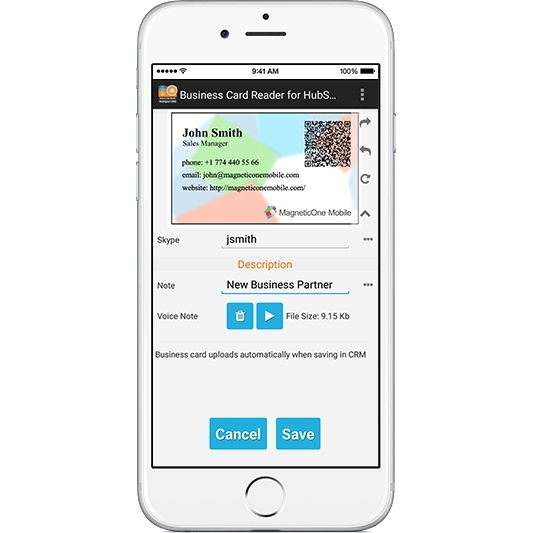 Business Card Reader by MagneticOne Mobile can recognize cards in over 25 different languages. This integration requires both MagneticOne and HubSpot. Learn more. Not enough info? Simply enrich it. You can add country phone code, text/voice notes to new contacts and save the location of where you met. You can make all necessary corrections before adding a new client or business partner to your HubSpot CRM. 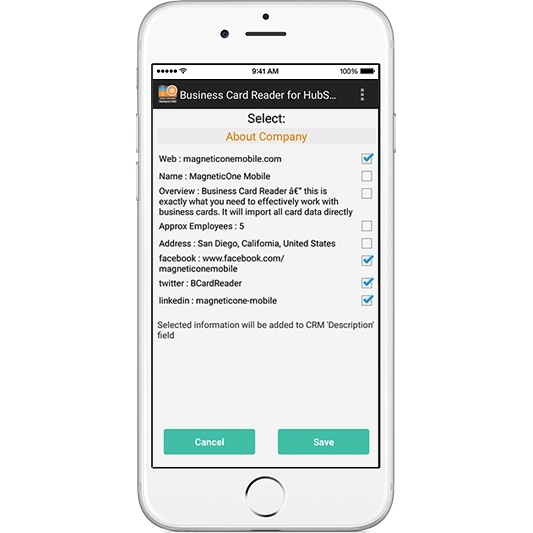 Additionally, you can save results into your phone contact or Gmail contacts.